God's Grace Overflows: Prayers Needed! 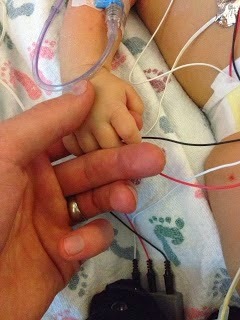 This sweet and precious baby girl, Kalea needs your prayers! She is the daughter and grand daughter of a very good friend of mine and also Roxy's. This sweet precious little girl needs prayer! She has a vitamin K deficiency. Seizures that have been controlled by medication. Would you please pray for Kalea. We all want to see a Christmas Miracle!! Let's believe God for Kalea to come home!! Every Mommas heart cry is the same the whole world wide! bring health and healing to her body! !